Dallas Lamp and Light is a locally owned business specializing in complete lamp and light fixture repair and restoration. We can perform simple rewiring to a full rejuvenation. With complete facilities and expertise in electrical wiring, surface restoration of metal, wood, glass and ceramic repair, look to Dallas Lamp and Light to bring life back to your lighting fixtures. Looking to update the look of a lamp? We can repaint and re-glaze surfaces in different colors as well as work with you on new shade selections. Looking to make a change? We can re-spray the surfaces with traditional metal lamp colors and patinas as well as any color under the rainbow. Searching for specialized design accents? Ask to see our lamp and lighting stock of vintage and classic fixtures. Pick out a base lamp of your choice and work with our design team to customize it to your own taste. Need to sell a lamp? Give us a call. 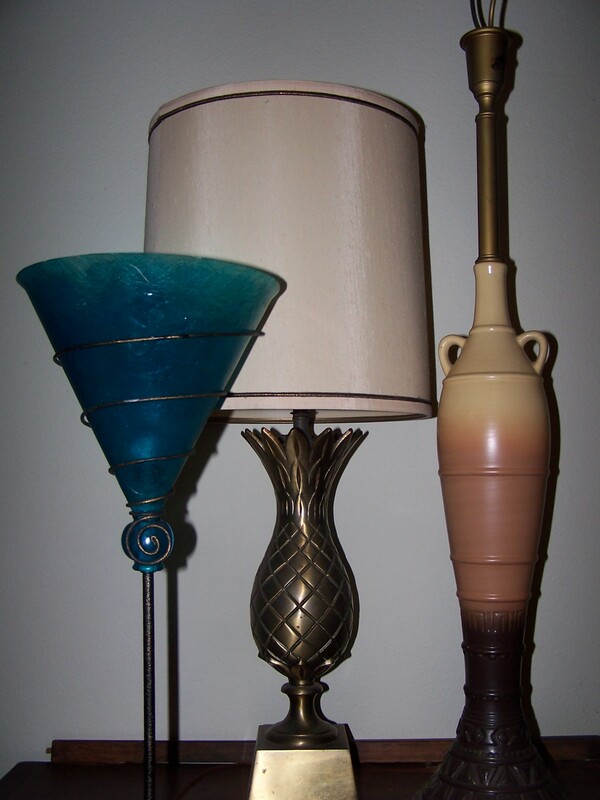 We buy vintage and classic lamps in all condition. Our specialty is midcentury modern; ceramic, metal and wrought iron. Whether it be a desk, wall, floor or hanging, let us help find a second chance for that light fixture collecting dust in your attic. This entry was posted in Uncategorized and tagged broken lamp, dallas lamp repair, lamp repair, lamp restoration, lamp restoration dallas, repair lamp dallas. Bookmark the permalink.